The first screen you see when you log into your blog is the Dashboard of your administrative area. Your dashboard is made of your main navigation on the left hand side and Reader on the right. Hovering your mouse over a menu item displays all the submenu options under that item. For example, to write a new post hover your mouse over Posts and click on Add New. 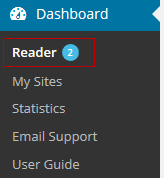 By default, the Reader is displayed on the right hand side of your dashboard when you log into your account. The reader is designed to make it easy to read and comments on posts from directly inside your dashboard. The reader feed automatically pulls posts from all blogs you follow on and news feeds unless you are using My Class. 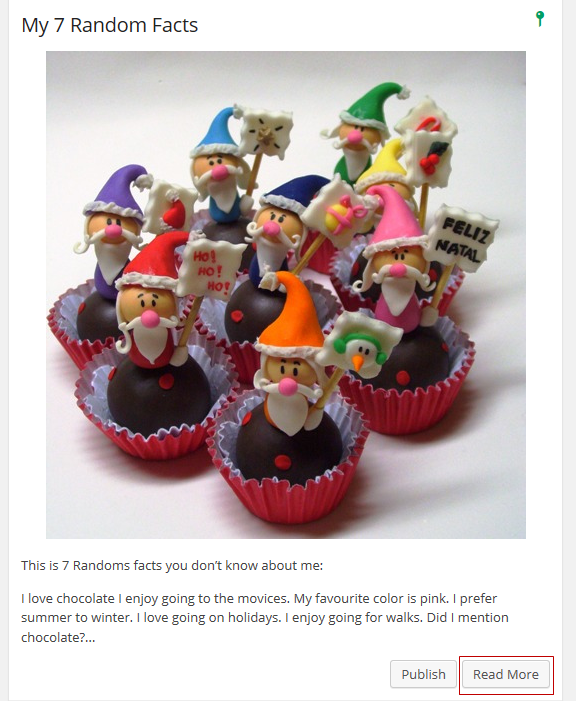 You can ‘follow’ a blog using the Follow button on the admin tool bar when visiting a blog. 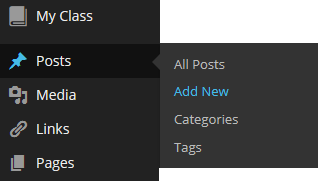 The Reader feed is automatically replaced with the My Class feed if My Class is being used on the blog. 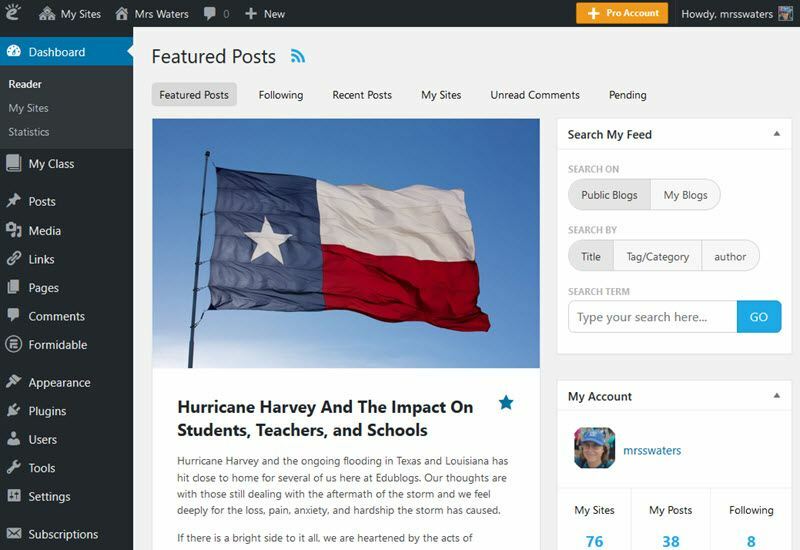 The My Class feed allows teachers and their students to quickly read and comment on all posts published on the class blog and student blogs from directly inside the reader. The Pending folder in the reader is where teachers can quickly checked pending comments and posts. The number of pending posts or comments is indicated next to the Reader menu item. Click on the Pending tab to view pending posts or comments. Click on Read More if you want to read the full post or click on Publish if you are happy to publish the post. Your gray admin bar at the top of your blog provides shortcuts to areas inside your dashboard. The My Sites menu is located on the left-hand side of your admin bar. The My Sites menu provides handy shortcuts to areas inside your dashboard such as the dashboard, new posts, comments and access to other sites attached to your username. The Comments icon provides a shortcut to Comments inside your dashboard where you approve and manage comments. The number of pending comments is indicated by the number to the right of the Comments icon. The + New Menu provides handy shortcuts to adding new post, media, link, page and user. The Upgrade icon and +Pro Account icon are on the right hand side of the admin bar of all Edublogs blogs. 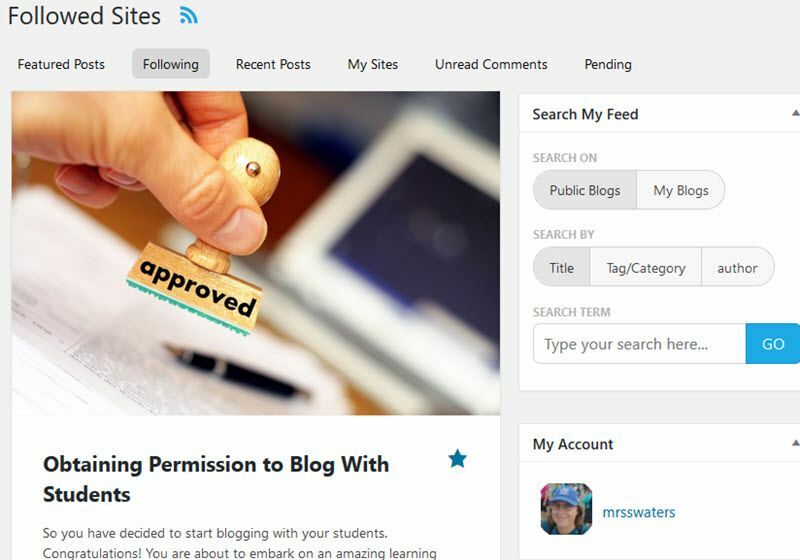 The Upgrade icon is displayed on all free Edublogs and provides a link to upgrade your blog to Edublogs Pro. Once upgraded to Edublogs Pro you see the +Pro Account icon which is used to access your Pro account page where you can view your transaction history, email a receipt copy of your last payment, change and cancel your subscription. Hovering your mouse over the Upgrade icon or +Pro Account icon displays a link to the Bulk Upgrade sub menu used to purchase bulk upgrades. Hovering your mouse over your username and avatar located the right hand side of the admin bar displays a submenu with links to your edit profile page and to a link to logout. The small magnifying icon that appears on the right of your Admin bar is the search tool which you use for searching content on the blog.